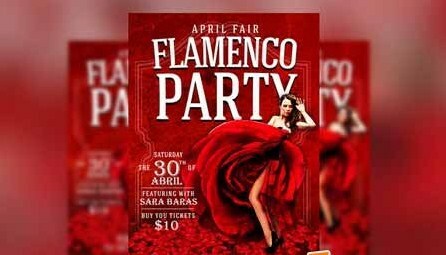 Flamenco Flyer PSD Template Flyer PSD Template for a flamenco event or party. High Definition, fully editable. Ready to print. All included. A3 Size - 11.7x16.5 in. All images and objects included (FREE Dancer download link included too). High Definition - 300 dpi. Layered - Well organized layers.